Plus there's Javed Akhtar and Shatrughan Sinha. J P Dutta has made 10 films since he doffed his hat as director. The biggest success of these was Border (1997), which paid tribute to the Battle of Longewala in the 1971 war with Pakistan. Refugee (2000), the film that launched the careers of Kareena Kapoor and Abhishek Bachchan in 2000, dealt with the trauma of post-Partition. LOC Kargil (2003) was Dutta'’s salute to the Himalayan battle between India and Pakistan in 1999. 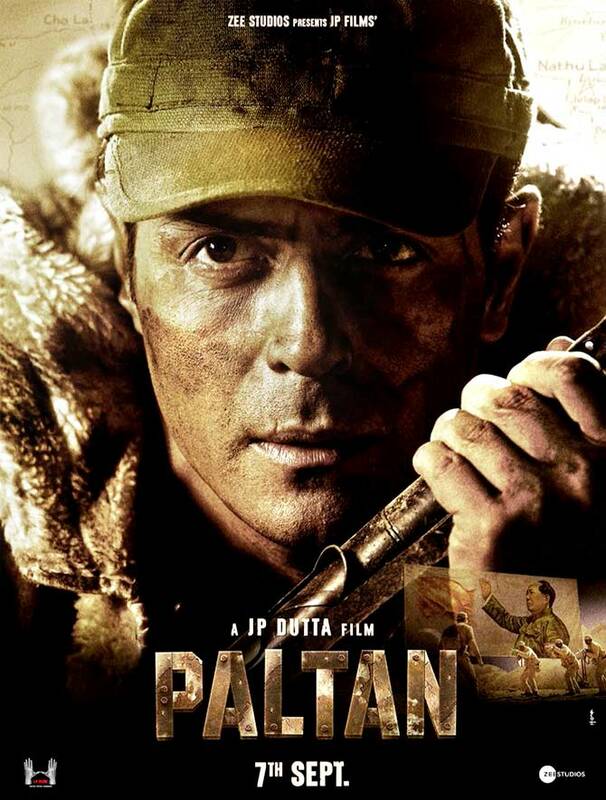 His 11th film, Paltan, which releases on September 7, brings to life India's clashes with China at the Nathu La and Cho La passes. Like in his other films, there is a strong patriotic number, Main Zinda Hoon, that tuga at your heartstrings. Watch Sonu Nigam -- the man blessed with amazing vocals -- render the song live, without any music for support. And here's the fiery Javed Akhtar explaining what it takes to make a great actor, and a great singer. Shatrughan Sinha was there was well, to support his son Luv, who is acting in the film. The father, for a few seconds, also took a few potshots at a certain Mr Modi.